Road trip. A respite from habit. A chance to see new. We chose to travel the back roads between big cities. Louisville, Cincinnati, Morgantown, Gettysburg, Washington DC, Staunton, Roanoke, Knoxville, Nashville, home. Whew! Museums to nature trails to museums. It was delightful, nourishing and, in some cases, revelatory. What I saw: Rural American towns are dying. Many are already dead, supplanted by roadside marquees of chain restaurants. Sometimes it's just a McDonald's sometimes it's a nest of brand names. None serve food that delights me. But there are exceptions. Gettysburg is a delightful town full of history. Staunton, Virginia is soaked in Shakespeare and Mozart. And Kathy's Diner in Staunton has the best cole slaw that side of the Mississippi. Staunton Virginia had a delightful mix of art, music and shops. They are clearly devoted to preserving their history and promoting the arts. We spent 5 days in DC walking through museums. The Renwick had an exhibit titled No Spectators: The Art of Burning Man which started off our day with feelings of elation, concern, drama and humor. I wanted to take this particular costume and use it as my avatar. The exhibit gave me an inkling of what it must be like to party like there is no tomorrow in the middle of the Nevada desert. The National Portrait Gallery made me want to draw, paint and sculpt portraits. Their presentation of historical figures as well as current heroes gives you a glimpse into our better selves. The Hirshhorn had Mark Bradford interpreting the Pickett's Charge Cyclorama in collage. Having just seen the original painting in the Gettysburg museum I was over-awed by Bradford's interpretation. The work wrapped the entire gallery in layers and layers of paper. 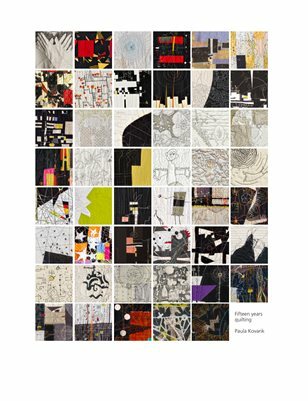 See this link to get a hint of the enormity of the work. 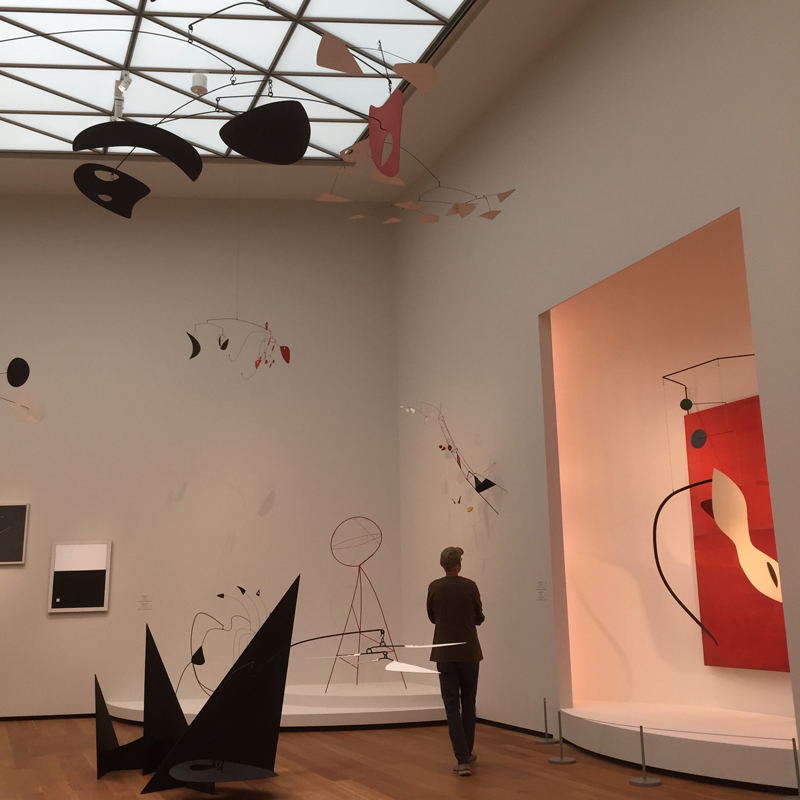 And what could be better than walking into a full gallery of Calder's work. And Modigliani, Pollack and Rothko. The National Gallery of Art had them all. I walked until my toes bled. I spent a lot of time looking at patterns and details. These are the ingredients of my art. A little pavement here, a little texture there. All anchored by an underlying current.